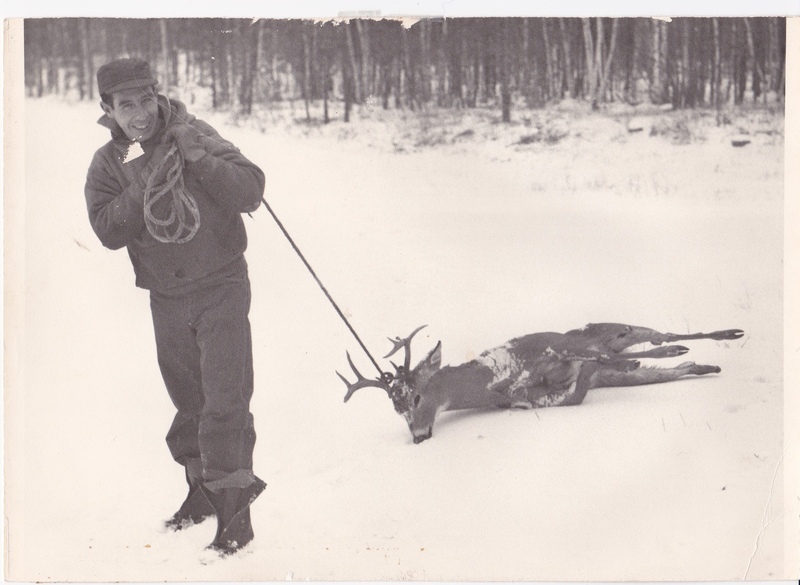 Michigan’s foremost raconteur, Genot “Winter Elk” Picor, brings another insightful and entertaining tale to The Storykeepers Project. Drawing on the ages-old hunting traditions of the French-Canadians, Métis, and First Peoples, he reaches us on many levels with this sharp and funny tale of Great Uncle Étienne and his encounter with a changing world. 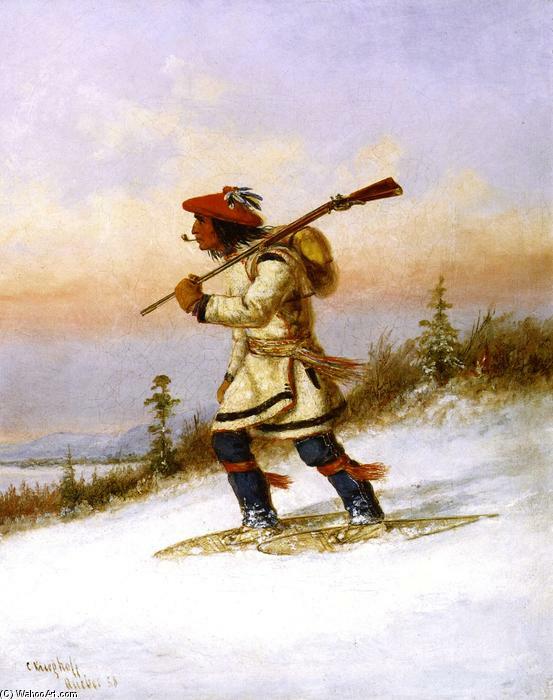 Depiction of real-life François Mercier, voyageur canadien, par Notman. One afternoon, a very long time ago, Paul André and his mixed blood cousin Genot Élan de L’Hiver were reminiscing about the old days and sharing stories from their youth. Of course, every story is only as good as can be embellished, and since they were French, this tendency came naturally to them. Their arms would wave, and their voices would rise and fall. Their faces contorted as they played each and every character. As one cousin told a story, the other would listen intently, waiting for that spark of humor to ignite the expectant climax of the tale. After having shared several good laughs between them, a reclining Paul André propped himself up on his elbow. “It served him right for not going to church,” said Paul André. “I always got a chuckle when Pipi told the story of how you got your dark skin and black hair,” said Paul André with a grin. Genot grimaced. He knew what was coming. He had heard that story a hundred times. “How you fell from the black walnut tree and landed in a pool of rotting black walnut juice…forever stained!” roared Paul André. “Do you remember the story of great-uncle Étienne and the game warden?” asked Paul André? Genot furrowed his brow and gave Paul André a puzzled look. “I’ve never heard that story,” replied Genot. Paul André sat up straight and leaned forward. His piercing blue eyes reached deep into Genot’s soul as he began the story. Feeling slighted for never having heard this story, Genot urged Paul André to continue. “One day, great-uncle Étienne was out hunting along what is now the river road. When he came out of the woods, he was dragging a deer he had field dressed. Well, standing right there in the path was a government game warden with his hands on his hips and a stern look on his face. Paul André squared his broad shoulders. His voice took on a more serious tone. “Why would great-uncle Étienne admit to harvesting another deer if he didn’t have a permit or money to pay a fine?” asked Genot. “Oh….now I understand,” said Genot with a nervous laugh. Well my friends, if ever you’re out for a stroll along the old river road, and you hear a rustling in the bushes, it’s probably Genot looking to see if that old game warden is still waiting for great-uncle Étienne!